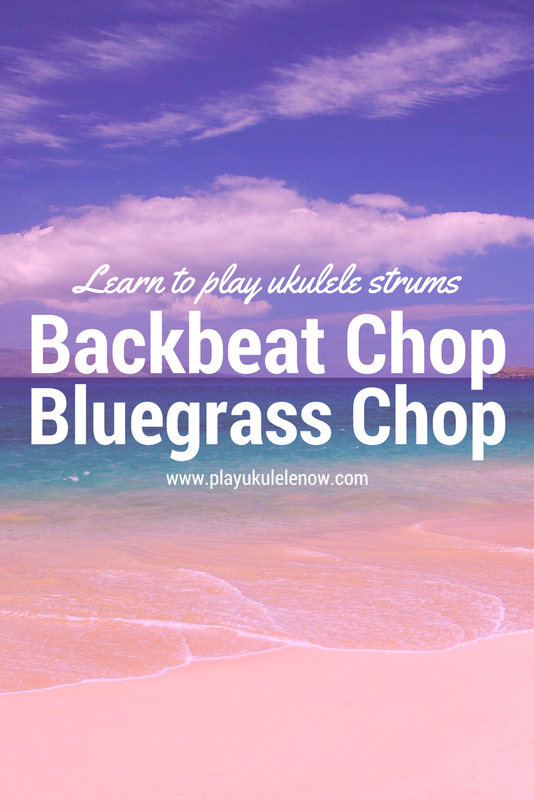 As a ukulele player you may find yourself in a situation with a bass player and no drummer as well, and find the backbeat chop a useful accompaniment. 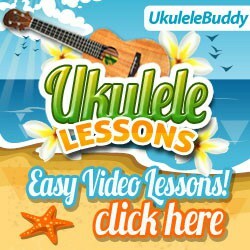 Like the reggae strums, this makes a great accompaniment for any song. Accompaniments like this can also be found in jazz and popular music. Chords with no open notes must be used to perform the backbeat chop. 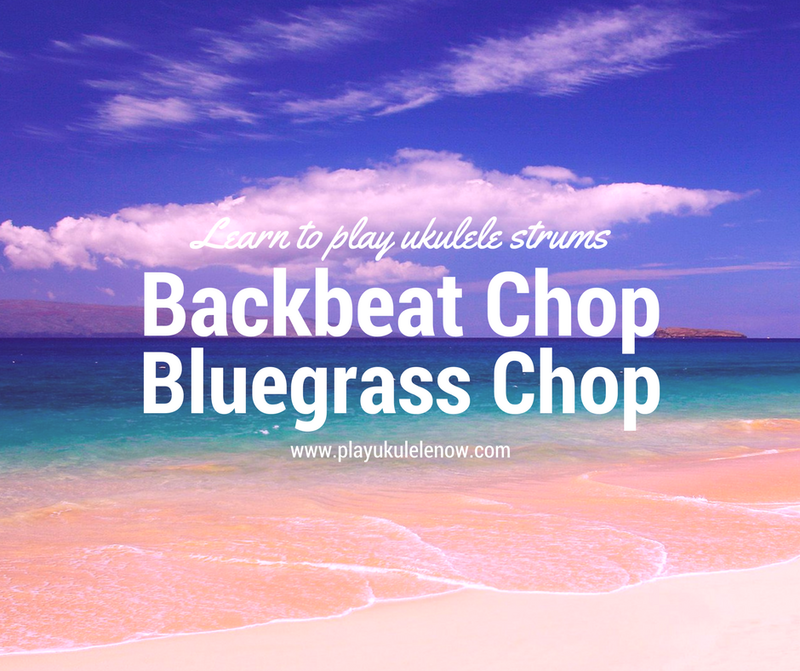 Let's perform what we could call the Backbeat Chop or the Bluegrass Chop. Put your fingers on the notes of the chord, but don't press down as you would to play the chord - just gently rest your fingers on the strings, this will mute the strings. Then, over the taps - make sure you're counting evenly - say: Long, short, long, short. Say the short, shorter than the long and play the chop on the short. Have fun! Use this for different songs and see what you think.